Assists with adding oxygen to the pond from the spitting features. 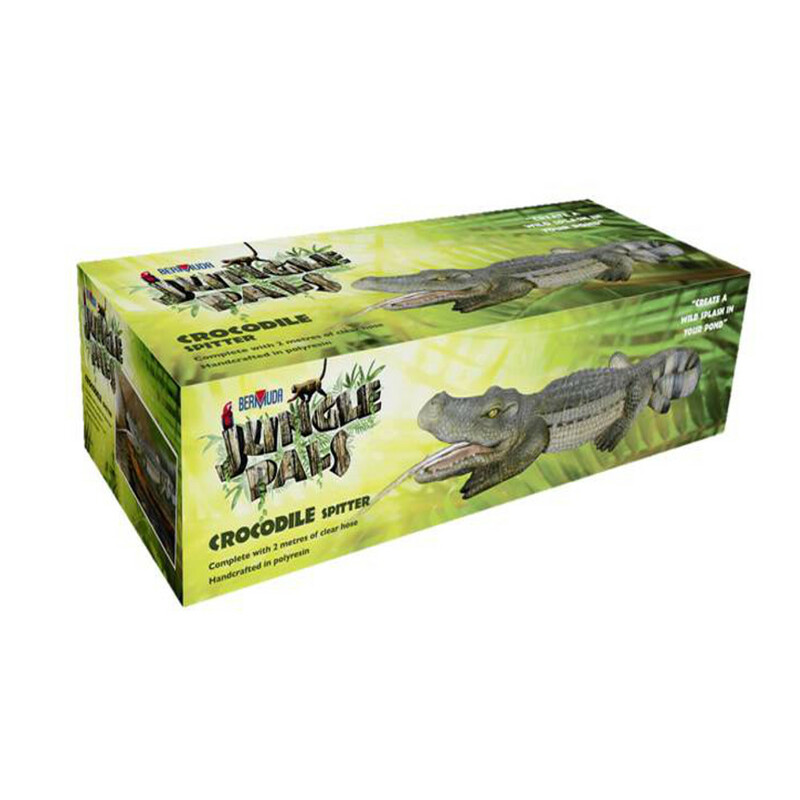 Manufactured in hardwearing resin, this adorable Crocodile can sit poolside and spits a gentle jet of water out of its mouth and into the pond below. This helps to add movement, improve oxygen in the pond and creates soothing sounds as the water hits the surface. 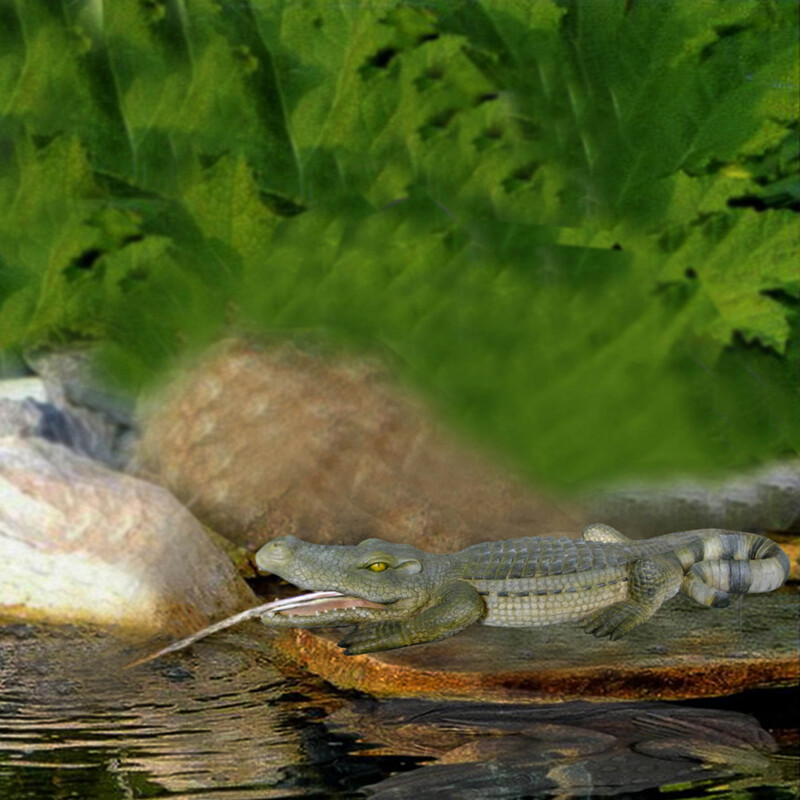 The Crocodile can also sit as a normal garden ornament. The spitter is supplied with 2 metres of clear hose. Size: L 60 x W 22 x H11cm.